A night visit from a raccoon makes a bird food mess. 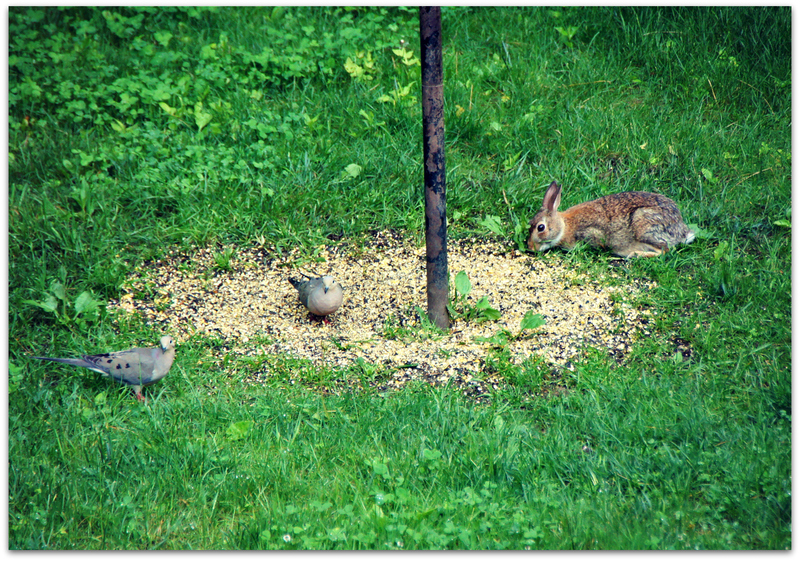 Mourning Doves and a fat rabbit are happy to clean up. Doves seem to prefer feeding on the ground. Rabbits love the clover taking over our imperfect lawn. We haven’t seen so many rabbits – one or two a day, mornings and evenings – for many years. I think the predator population, coyotes especially, is at a low point. I don’t know if this is a mated pair of doves, but there has been much mating of doves around here lately – with all the wing-whistling flappings and flutterings that go with the courtship dance of Zenaida macroura. The mourning dove is monogamous and forms strong pair bonds. Pairs typically reconvene in the same area the following breeding season, and sometimes may remain together throughout the winter. Ah the wonders of YouTube. Here is a pet ring-necked dove having a bath in a kitchen sink. 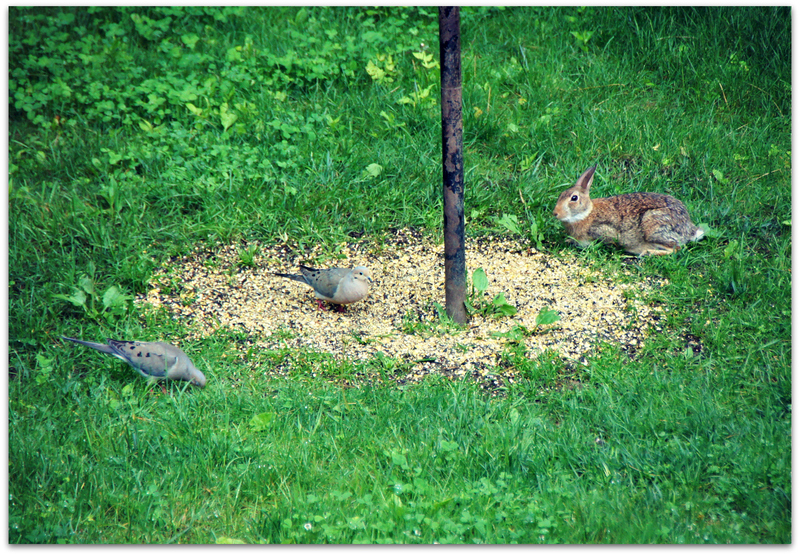 This entry was posted in Uncategorized and tagged backyard birds, Mourning Dove, Rabbits on June 23, 2014 by Amy.